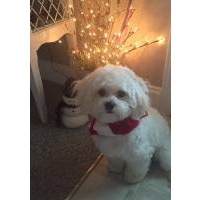 • Shih-poo breeders are listed below alphabetically by State / city. 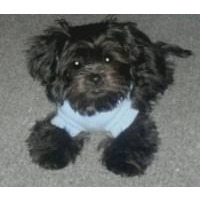 • Click on underlined words to find Shihpoo puppies for sale. 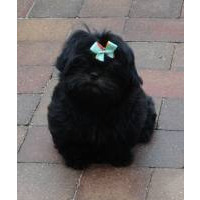 • Please tell the Shih-poo breeders with puppies for sale that you found them on BreedersClub.net. The designer dog breed known as Shih-poo is a mix of Shih Tzu and Poodle. Shih-poos are very friendly and receptive to training. Their coat can be curly or straight and appear in a variety of colors. These lively dogs make wonderful family pets, enjoy walks and should get daily exercise to feel their best. Our puppies are raised with care and well socialized to become a loving member of your family. Shots & worming will be current. I am a small private breeder with a limited number of dogs and breeds. I have been raising puppies for 30 plus years. All puppies are properly vaccinated and dewormed. My purebred puppies are registered with APRI. I have a health guarantee/warranty and this is listed on my website. If you would need shipping, you would have to check with me to see if that would be possible in your individual case. My partner Roy and I have bred puppies for a combined 15 years. The puppies are home raised by our families. We are an Ohio Licensed Kennel that is inspected yearly. We do offer a health guarantee on our all puppies. All our puppies come with up to date shots and vaccines and are wormed regularly. Health guaranteed. We are a small hobby breeder. We warrant against congenital diseases for a year after birth. Our puppies are up-to-date with their vaccinations & de-wormings. Our Golden Retrievers are AKC registered & the Shih Tzu & Shih Poo are CKC registered. We do not ship. All of our puppies are very socialized and have been around adults & children since birth. They are "loved on" (and played with- age appropriate) every day! Raising adorable puppies as household pets is something we especially enjoy. We love the excitement each puppy brings to our family, and the joy we see in the adoptive family as well. Our puppies are very friendly and well socialized. They will be up-to-date on vaccinations and have the proper amount of de-wormings. Wisteria Lane Puppies is a small breeder kennel. We started out as a hobby and enjoyed the experience and slowly added to our breeding stock. We have been breeding since 2013. We always have our puppies up to date on all worming and vaccinations before they leave. We have a Health Guarantee that we include with each puppy. We don't ship our puppies but offer delivery for a fee. 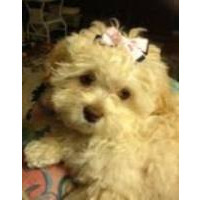 This breed directory page features Shih-poo breeders with puppies and/or adult dogs for sale. Once you purchase your new found friend, you will want to provide it the best in pet health care. Be sure to visit our online discount pet supplies catalog and order NuVet Plus™ to keep your puppy and adult dogs in top condition. The discount catalog also features collars, leashes, carriers, general pet care products and much more. BreedersClub.net does not pre-screen the Shihpoo breeders who advertise their puppies and dogs for sale in the BreedersClub.net breeder directory and in the classified ads. We require all advertisers to agree to our advertising terms. You should ask the Shih-poo dog breeders you talk with for references from past buyers and veterinarians.